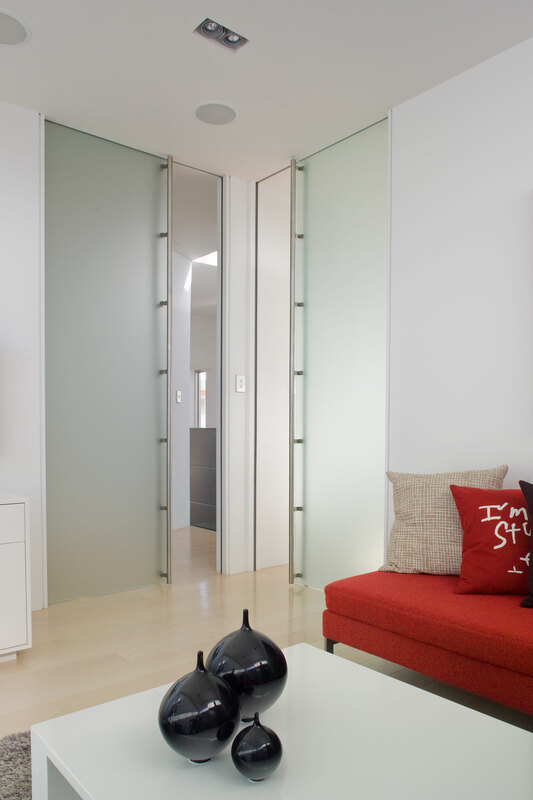 CS FramelessGlass units incorporate a toughened frameless glass panel as the door leaf, creating light spaces and continuous flow between rooms. The top clamp bracket may be either exposed or hidden above the head jambs depending on the desired look. 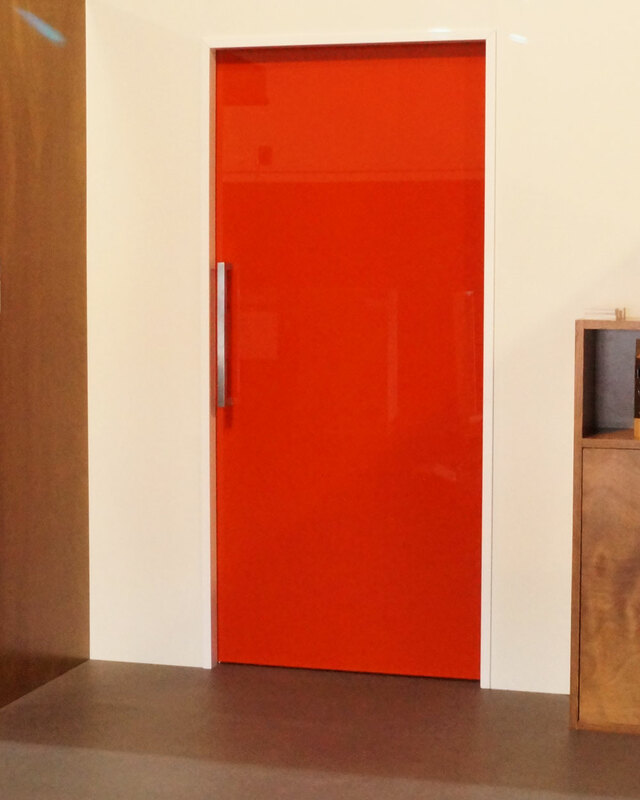 Many different glass options are available including frosted, tinted, printed or branded. 10mm or 12mm safety glass must be used. Wool-pile brush seals fitted to the jambs protect and guide the door. Soft closing cavity sliders. 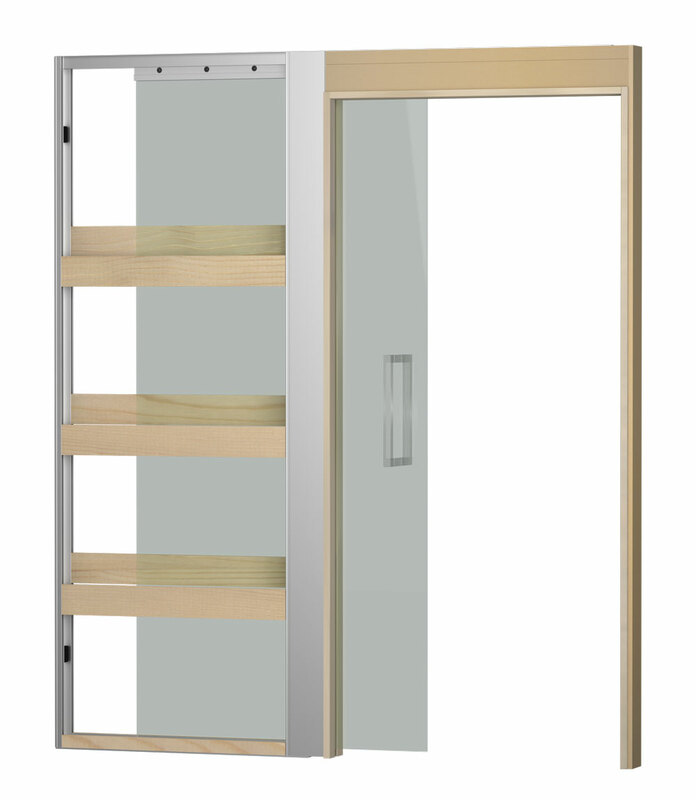 Up to max 80kg door weight.